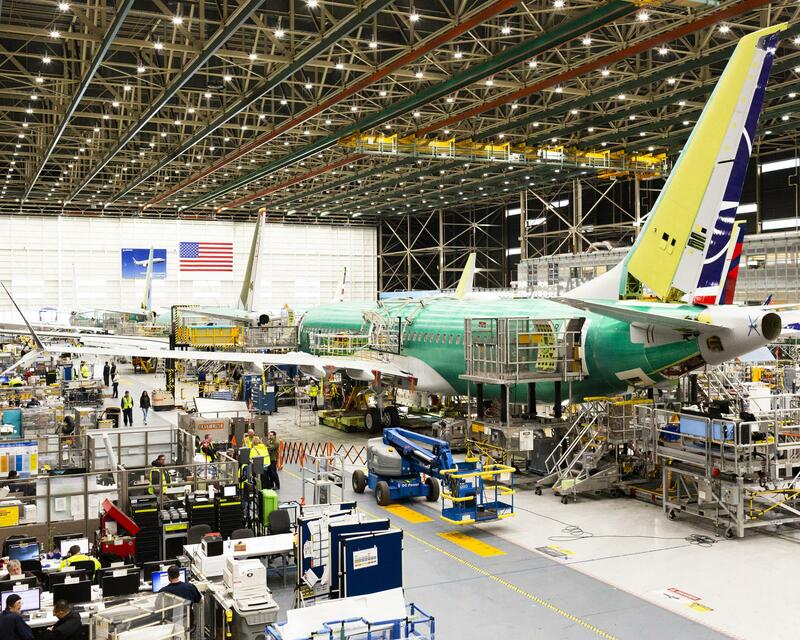 Boeing continues making the planes at its 737 Max assembly plant in suburban Renton, Wash. In the wake of two crashes of its 737 Max jet in recent months that killed 346 people and grounded those planes worldwide, Boeing continues to produce the planes while campaigning to reassure airlines, pilots, regulators and the flying public that they are safe. The company publicly unveiled software fixes and other improvements for the 737 Max fleet in the greatest detail yet this week. At the same time, company officials defend the original design of the 737 Max, which is a new variant of a plane known as a workhorse of the industry. It was developed to include as few changes as possible to make it easier for airlines to integrate them into their fleet with as little new pilot training as possible. Vice President of Product Strategy and Development Mike Sinnett addressed the media on Wednesday. "We mourn this loss of life and we're going to do everything we can do to ensure that accidents like these never happen again," he said. The company brought in media and about 200 aviation industry leaders, pilots, technicians and regulators from around the world to its assembly plant outside Seattle this week to take a closer look at its plans to overhaul an automated flight control system and implement new pilot training protocols. It's a critical audience in the company's efforts to restore faith in the 737 Max, win regulatory approval of the fixes and get the planes flying again. 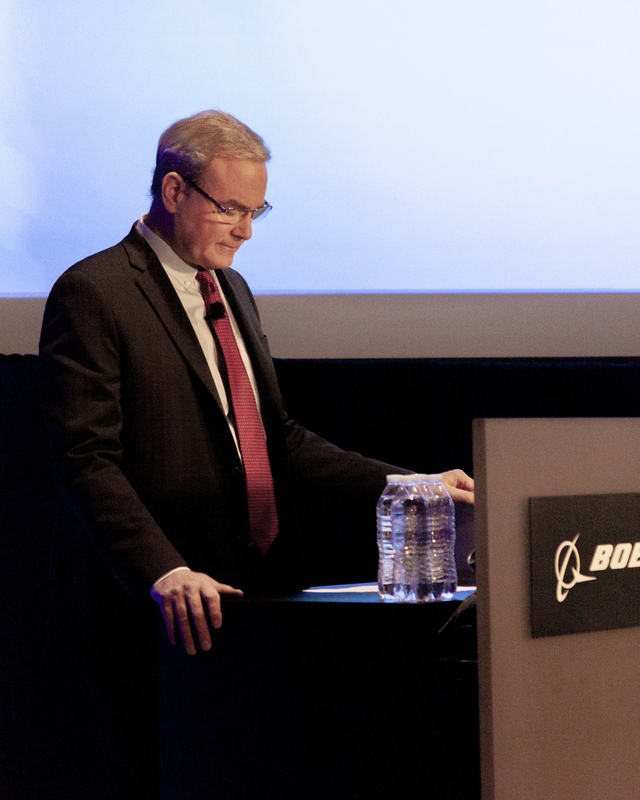 "The 737 is a safe airplane," Boeing's Vice President of Product Strategy and Development Mike Sinnett said at a media briefing Wednesday. "The 737 family is a safe airplane family, and the 737 Max builds on that history of safety that we have seen for almost 50 years." "We mourn this loss of life and we're going to do everything we can do to ensure that accidents like these never happen again," Sinnett added. "We're working with customers and regulators around the world to restore faith in our industry and also to reaffirm our commitment to safety and to earning the trust of the flying public." The 737 Max is Boeing's fastest selling plane ever. Airlines have placed orders for more than 4,000 of the aircraft, but some are reconsidering those orders, with at least one airline moving to cancel an order for 49 planes. 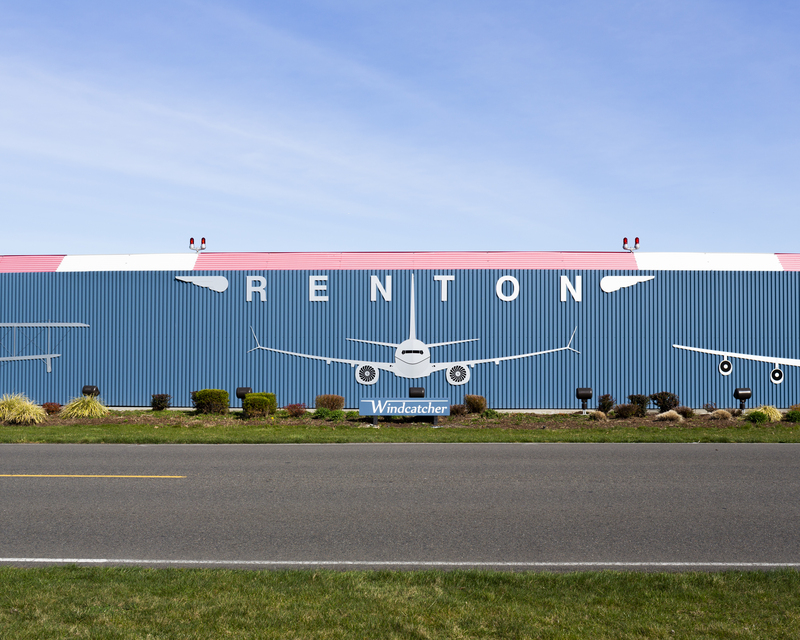 Nonetheless, Boeing has not stopped production and continues making the planes at its 737 assembly plant in suburban Renton, Wash. 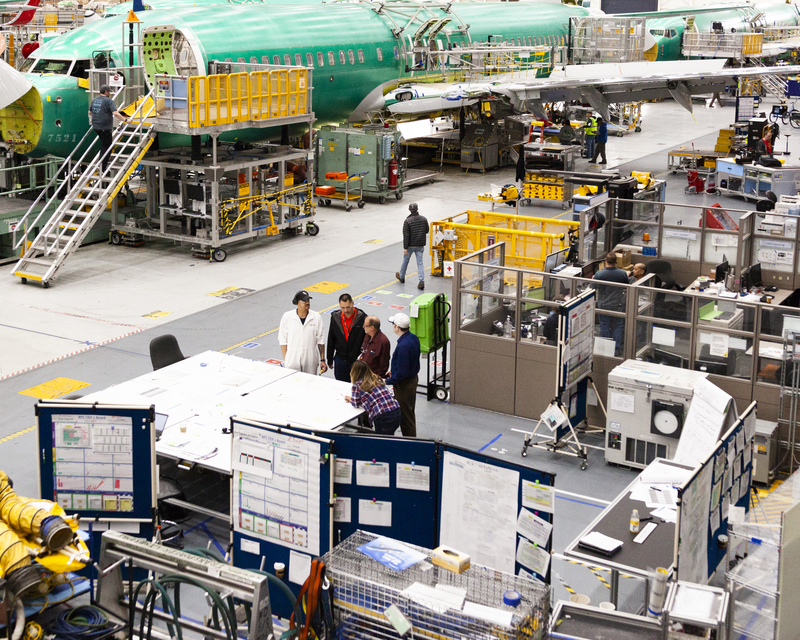 Teams of airplane designers and engineers work in cubicles or at tables just to the side of the production lines, allowing them to check on progress and troubleshoot problems as they come up. The enormous facility is almost 1,200 feet long and more than 750 feet wide. Workers at various stations on three lines of planes simultaneously put the pieces and parts together and install operating systems at a pace of 52 planes a month. 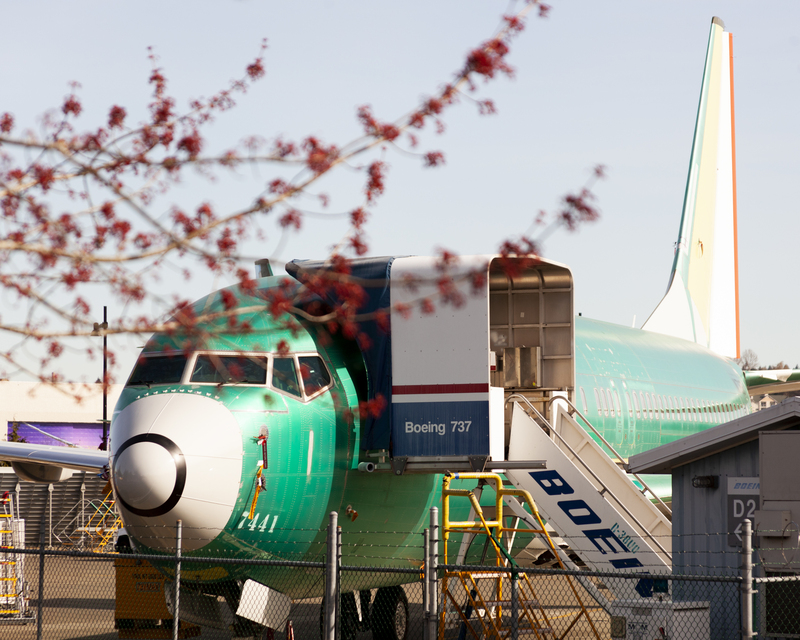 The work continues even though the finished planes won't be delivered to airlines while the 737 Max remains grounded. That may be for some time yet. "There is a degradation, a strong degradation of trust here," says veteran aviation journalist Jon Ostrower, editor-in-chief of the online aviation trade publication, The Air Current. "I think it's important to remember that this is actually the second time we've seen this in the last decade," adds Ostrower, pointing to the grounding of the Boeing 787 Dreamliner in 2013 because its batteries were prone to catching fire. He notes that six years ago the same top Boeing engineering official, Sinnett, was holding similar briefings to reassure customers, regulators and the flying public that the company had developed solutions then to fix the problem. The 737 Max is Boeing's fastest-selling plane ever. Airlines have placed orders for more than 4,000 of the aircraft, but some are reconsidering those orders, with at least one airline moving to cancel an order for 49 planes. "It underscores how serious this is," Ostrower adds about the current 737 problems. "We're seeing the rubber meeting the road again, which is — what changes are going to be required to make sure this airplane can fly and fly safely with the confidence of regulators and passengers." Boeing has begun the process of trying to regain confidence in the plane by providing details of software fixes and other improvements to the automated flight control system known as MCAS, or maneuvering characteristics augmentation system. It's designed to prevent the plane from going into an aerodynamic stall due to new engines that are positioned differently on the Max than on previous versions of the 737 and provide more lift. If angle of attack sensors indicate the nose of the plane is too high, MCAS automatically forces the nose of the plane down. Investigators of the Lion Air plane crash in Indonesia that killed 189 people last October say a faulty sensor fed the system erroneous data, and the system forced the nose of the plane down repeatedly. The pilots may not have known the system even existed and engaged in a futile struggle to regain control of the aircraft. 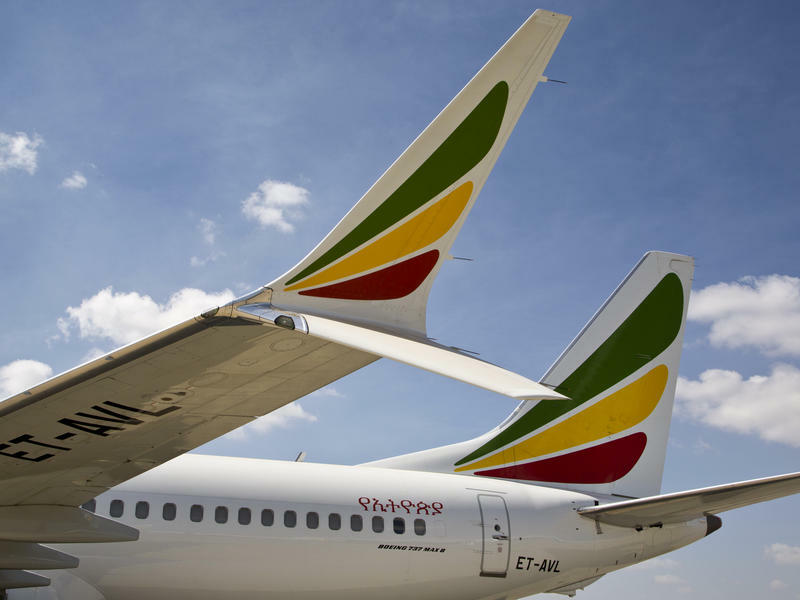 Investigators of the Ethiopian Airlines crash earlier this month, which killed 157 people, say there are similarities between the two tragedies and they are looking into whether the MCAS system was a factor. The MCAS system relies on data from two sensors instead of just one to determine whether the plane is in danger of aerodynamic stall. If MCAS is activated, the system will act only once instead of repeatedly forcing the nose of the plane down. Pilots will be able to override the automated system by pulling back on the control column. Warning lights alerting pilots to a problem with the sensors will become standard instead of a more expensive option. Boeing will enhance training for pilots on MCAS, incorporating all of the changes it makes, once approved by regulators. 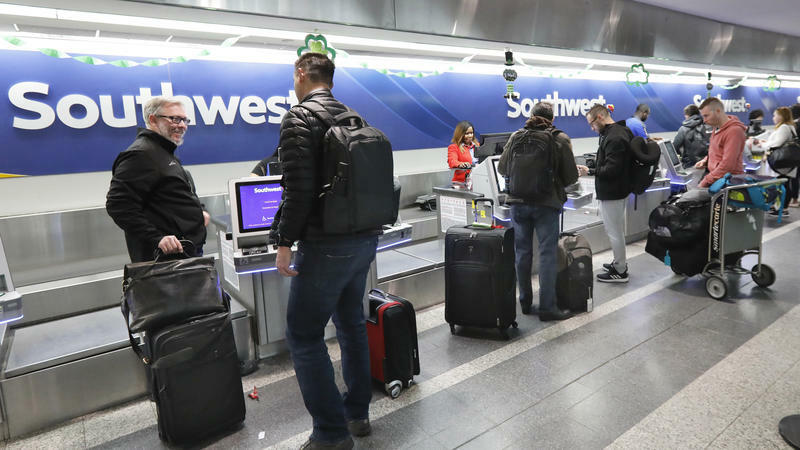 The company has been developing these changes in consultation with airlines, pilots and the FAA, and Boeing says the modifications have been undergoing rigorous testing, with engineers looking for potential flaws and malfunctions. Boeing has begun the process of trying to regain confidence in the plane by providing details of software fixes and other improvements to the automated flight control system known as MCAS. "We have uncovered nothing that concerns us in any of those areas," said a Boeing official who wished to remain anonymous. "Those reviews continue and they will continue for some time." The company is expected to officially submit the proposed fixes to the FAA for review before the end of the week, in hopes of getting the planes recertified to fly again. "We're optimistic but we're still cautious," says Capt. Jason Goldberg, a 737 pilot for American Airlines and a spokesman for the pilots union. He says some of his members have tested out the software modifications in a simulator. "We really believe that the software fixes have to be thoroughly vetted by the regulatory agencies and by the pilots who are going to be flying these aircraft. We don't want to see this process rushed or fast-tracked." That's unlikely with so much scrutiny coming down now on Boeing and the FAA, which some accuse of relying too heavily on Boeing's own safety assessments in its certification of the 737 Max. The Department of Transportation's inspector general and a federal grand jury are investigating. There's a congressional inquiry, and Boeing's fixes really only address what is believed to be partly to blame for the Indonesian crash. Despite similarities between the two, the cause of the Ethiopian Airlines crash has not yet been determined. Boeing says it has a software fix ready for its 737 Max airplanes that will be unveiled to airline officials, pilots and aviation authorities from around the world Wednesday, as the aircraft manufacturer works to rebuild trust among its customers and the flying public following two fatal crashes of the planes in recent months.